ONE thing about Victoria Falls is there is certainly no shortage of activities to keep you entertained. Here’s a list of the top seven to include in your trip to Victoria Falls. 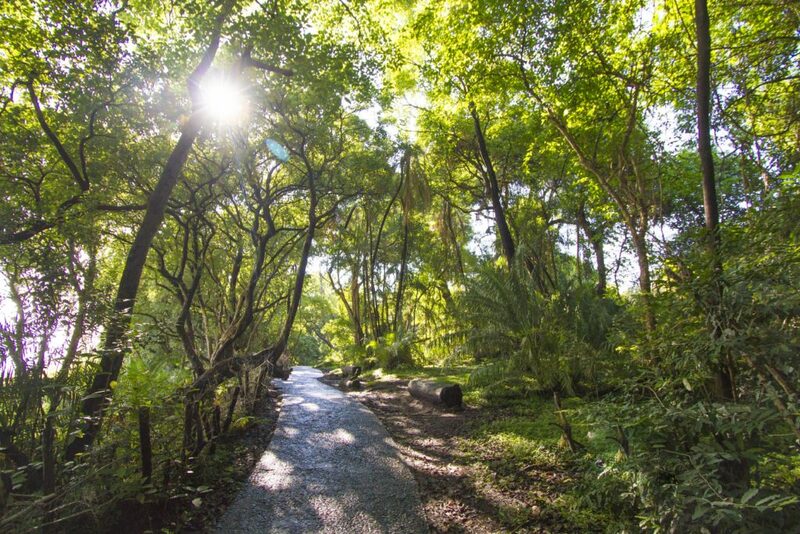 A guided tour of the Victoria Falls Rainforest brings the rich history of this magnificent Wonder of the World to life, and guests will also learn about the plants, wildlife and birds, as well as other points of interest. Several companies run tours, which follow the path through the rainforest, from the Devil’s Cataract and Livingstone Statue to Danger Point and the Boiling Pot, taking in all of the viewing points. Tours generally take two hours, and include hotel transfers. 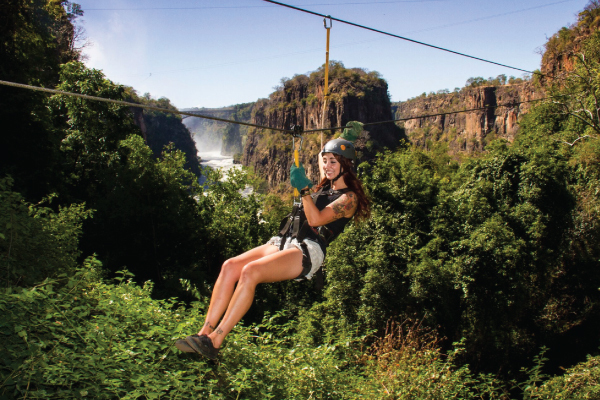 Swinging through the tree tops along a series of nine zip lines, up to nearly 90m long, is a unique and fun-filled way to experience the spectacular Batoka Gorge, beneath Victoria Falls. This activity, which is run by Wild Horizons, takes about two hours, and is suitable for everyone aged six and up. It allows a bird’s-eye view of mahogany, ebony, centuries old wild pear trees and the turbulent Zambezi River winding through the gorge beneath Victoria Falls. It is a must do for bird enthusiasts, with the opportunity to spot fish eagles, peregrine falcons, and trumpeter hornbills, among others, as well as vervet monkeys. A hide sit at the edge of the Victoria Falls Safari Lodge waterhole offers the incredible opportunity to watch wildlife at very close quarters for a sustained period of time. Designed to look like a termite mound, guests are concealed in the Siduli Hide, from where they can closely observe large herds of elephant and buffalo, as well as kudu, warthogs, crocodiles, marabou storks, vultures and more. The Siduli Hide sit, ideal for keen photographers and wildlife enthusiasts who seek a unique and exclusive way to enjoy wildlife while visiting Victoria Falls, is run by professional guide Charles Brightman. The two-hour activity, which is available to groups of up to six, is best done in the early morning or late afternoon. 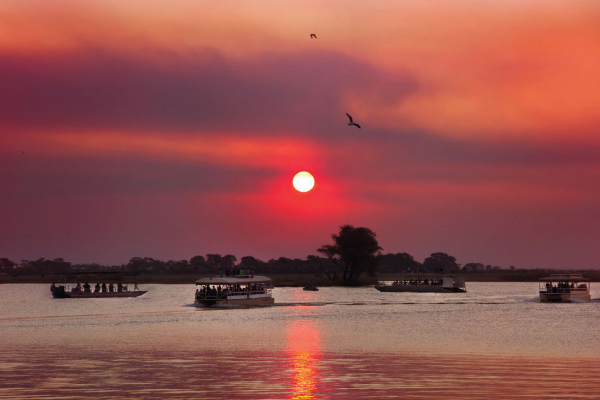 A sunset cruise along the Zambezi River is a memorable way to relax and unwind after a busy day in Victoria Falls, enjoying the scenery and looking out for elephant on its banks, and hippo and crocodile in the water, as well as a rich variety of birds. The grand finale of the two-hour cruise, which is offered by a number of different companies, and includes transfers, drinks and snacks, is a magnificent sunset where the sky turns orange bidding farewell to another day in paradise. The Vulture Culture Experience, which strives to protect these remarkable, but endangered birds, is a spectacular and educational activity, which is free, and appeals to all age groups. From August visitors will enjoy an upgraded Vulture Culture Experience, which will begin with a briefing on a newly built wooden deck, beneath Victoria Falls Safari Lodge, on the ecological importance of vultures and the plight they are facing. Visitors will then walk down a bush path to a new hide, from where they will watch hundreds of vultures swoop down to be fed on leftover meat scraps and bones from the on-site restaurants, in a supplementary feeding program, that aids in the survival of the species. There is the opportunity to view white headed vultures, hooded vultures, lappet faced vultures and white backed vultures, as well as other birds, at the daily 1pm feed. Many visitors then settle into a casual but hearty lunch, taking in the stunning views, from the Buffalo Bar deck. The Boma offers a unique cultural experience, which centres around a four-course meal – where guests get the chance to try both local delicacies and international dishes – as well as an interactive drumming show. Diners start with traditional beer and snacks, followed by a choice of starters, such as smoked baby crocodile tail, a barbecue buffet where, where no plate is complete without the famous warthog “pumba” steak, and maybe a mopane worm, and a smorgasbord of desserts. Additional activities include face painting and a fortune teller. A DAY trip to Chobe National Park, in neighbouring Botswana, offers an incredible wildlife viewing opportunity, which may include the unforgettable sight of herds of elephants swimming, trunks up, across the Chobe River. Chobe National Park is home to the largest elephant herds on Earth, and sightings of leopard, lion, wild dog and buffalo are not uncommon. Again, a number of companies run this tour, which is available daily, and typically begins with a game viewing cruise on the Chobe River, followed by a lunch, and then an afternoon game drive in the Chobe National Park, before returning to Victoria Falls.